Rails designs every collection with comfort in mind - especially when it comes to sleepwear. 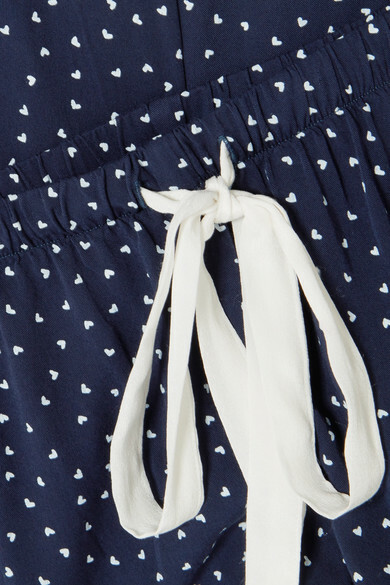 This lightweight pajama set is made from soft voile that's patterned with tiny white hearts, and it's finished with classic contrast piping. The relaxed fit and elasticated waist make it ideal for lounging at home, too. Wear it with: Loren Stewart Ring, Jennie Kwon Designs Necklace, STONE AND STRAND Ring.